Enter Bob Vila’s $3,000 “Level Up Your Toolkit” Giveaway from Kapro Tools Today! Enter today and every day this month for a chance to win your choice of six incredible tool prize packages from Kapro Tools. 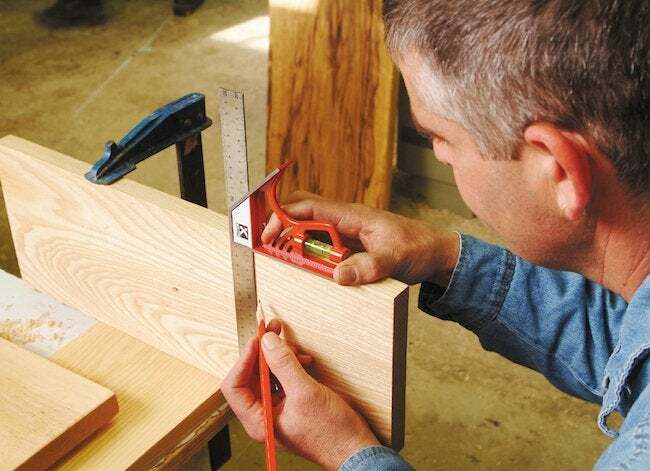 Any DIYer knows: Your tools can make or break a home improvement project. There are times when accuracy is critical to a job well done—laying tile or installing cabinets, say—and in those cases, not just any old tool will suffice. Whether you are planning to update your kitchen, spiff up your cabinetry or build out a new deck, you can get started on the right foot by scooping up one of these prize packages from Kapro Tools. This month, we’ve teamed up to offer you the $3,000 “Level Up Your Toolkit” Giveaway, in which six winners will take home the prize package of their choice. Industry leader Kapro Tools has been manufacturing high quality spirit levels, laser levels, layout tools, and marking and measuring tools for more than 30 years. These pioneering hand tools have become synonymous with quality and innovation, winning numerous industry awards. Easy to use, accurate and built to last, these are exactly the type of tools that any DIYer should have in their arsenal. To learn more about Kapro Tools and their award-winning hand tool designs, click here. The Building the Perfect Deck package contains the Prolaser Plus – Cross Line Laser Green with Tripod Adaptor; Professional Laser Tripod with Pole; 48-inch Condor™ Box Level with OPTIVISION™ and Plumb Site®; 10-inch Magnetic Cast Torpedo with Optivision™ and Angle Finder; Smarty Magnetic Cast Handy Level with Optivision™; 12-inch Magnetic Lock Combination Square with Zinc Head; 48-inch Nylon Carrying Case with Handle; Postrite® Magnetic Post Level; and the Kaprometer K1 Laser Distance Measurer – 100-foot. The Ultimate Drywall Kit contains the Prolaser Plus – Cross Line Laser with Tripod; 36-inch Magnetic Box Level for Drywall Studs; 48-inch Exodus Professional Box Level with 45° Vial and Ruler; 48-inch Adjustable Drywall T-Square; Multiscanner Sensor – Electric, Metal and Stud; 12-inch Magnetic Lock Combination Square with Zinc Head; Prolaser® T-Laser™ T-Square; Multi-Purpose Drywall Cutting Knife; 48-inch Nylon Carrying Case with Handle; Ergonomic Drywall Carrier; Sure Grip Chalk Line with Retractable Line Level; Electrical Outlet Marker; 10-inch Straight Cut Tin Snips; 8-inch x 12-inch Steel Carpenter Square – 1/16; Sharpener and 3 Pencil Set; and the Kaprometer K1 Laser Distance Measurer – 100-foot. The Plumbing package contains the Prolaser Plus – Cross Line Laser; Professional Tripod with Pole for Lasers – 1 bracket; 48-inch Vulcan™ Box Level with Magnified Vials and Plumb Site®; 48-inch Topgrade™ Gradient Box Level with Slope Measurements; 12-inch Magnetic Lock Combination Square with Zinc Head; 6-inch Magnetic Billet Level with Set Screw; 10-inch Magnetic Cast Toolbox Level with Plumb Site®; Cyclops Magnetic Cast Pocket Level with Plumb Site®; Pipe Level Set – 5 Sizes; and the Kaprometer K1 Laser Distance Measurer – 100-foot. The Cabinet and Shelving Essentials package contains the Prolaser Vector- Three Line Laser with Tripod Pole; Digital Bevel – Precise Angle Measurer and Level; 18-inch Heavy Duty Cast Level with Swivel Plumb Site®; 24-inch Exodus Professional Box Level with 45° Vial and Ruler; 12-inch Magnetic Lock Combination Square with Zinc Head; Prolaser® T-Laser™ T-Square; 10-inch Magnetic Cast Toolbox Level with Plumb Site®; 48-inch Set and Match® Ruler with Sliding Vials – 1/8; and the Kaprometer K1 Laser Distance Measurer – 100-foot. The Kitchen and Bathroom Kit contains the Prolaser Vector- Three Line Laser with Tripod Pole; 59-inch and 32-inch Apollo Box Level Shower and Bath Set with Carry Case; 18-inch Heavy Duty Cast Level with Swivel Plumb Site®; 12-inch Magnetic Lock Combination Square with Zinc Head; 36-inch Set-Match Mark/Level System with Handle and Knife Guide; Sharpener and 3 Pencil Set; and the Kaprometer K1 Laser Distance Measurer – 100-foot. The Tiling package contains the 24-inch Digiman® Magnetic Digital Level w/Plumb Site® & Carrying Case; Digital Bevel – Precise Angle Measurer & Level; Prolaser® Laser Square; 24-inch Smartcast™ Mason’s Level w/Optivision™; 24-inch Condor™ Box Level w/OPTIVISION™ & Plumb Site®; 12″ Magnetic Lock Combination Square w/Zinc Head; 10-inch Magnetic Cast Toolbox Level w/Plumb Site®; 24-inch Nylon Carrying Case w/Handle; Ceramic Hole Marker; Sharpener and 3 Pencil Set; and the Kaprometer K1 Laser Distance Measurer – 100-foot. Enter Bob Vila’s $3,000 “Level Up Your Toolkit” Giveaway from Kapro Tools daily to increase your chances of winning one of these great prize packages. “Bob Vila’s $3,000 ‘Level Up Your Toolkit’ Giveaway from Kapro Tools” is open only to permanent legal U.S. residents of the 48 contiguous states and the District of Columbia who are age 18 or older. Void in all other geographic locations. No purchase necessary. Void where prohibited. Contest Period for Prize runs from 12:00 p.m. (EST) Friday, November 30, 2018 through 11:59 a.m. (EST) Monday, December 31, 2018. One entry per household per day on BobVila.com. Alternative means of entry for Drawing is available by faxing your name and address to 508-437-8486 during the applicable Entry Period. Odds of winning depend on the number of eligible entries received. See Official Rules.